born 1973, is an audio artist and poet based in Augsburg, Germany. His sonic work focuses on radiophonic composition, electro-acoustic live improvisation, and installation and performance concepts for specific sites and contexts. Since 2006, his sonic works have been performed and exhibited at festivals in Germany, France, Spain, Portugal, Romania, and Colombia. Gerald Fiebig has had works broadcast on audio art programmes of radio stations including “Studio Akustische Kunst” (Westdeutscher Rundfunk 3), “Klangkunst” (Deutschlandradio Kultur), “Laboratorium für Musik” (BR-Klassik), and “ArtMix Galerie” (Bayern 2), “Kunstradio” (Österreichischer Rundfunk), “Arte eletroacústica” (Radio e Televisão de Portugal), “Radiacustica PREMEdice” (Radio Vltava, Czech Republic), “Radio Art“ (kolHa Campus 106.0 FM, Israel), “Soundproof” (ABC, Australia), as well as on several independent stations in Germany, Austria, Switzerland, and the UK. His work has been recognised with a TONSPUR artist-in-residence grant from quartier21/MuseumsQuartier Vienna in 2013. 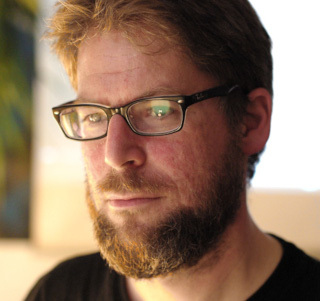 His piece “Identification de substances”, co-composed with Gerhard Zander, was shortlisted for the award of the Institut de Musique Electroacoustique de Bourges in 2007. In 2014 and 2016, pieces were shortlisted for the Grand Prix Nova of Radio România. His permanent sound installation “Cadolzburg Echo Space”, commissioned by the Bavarian Palace Department, opened in 2017. Gerald Fiebig is a member of the Association Presque Rien autour des amis de Luc Ferrari, jetzt:musik! (the Augsburg Association of New Music), and DEGEM (the German Society for Electroacoustic Music).